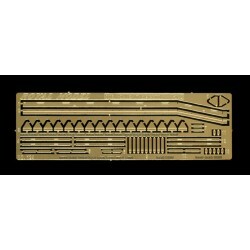 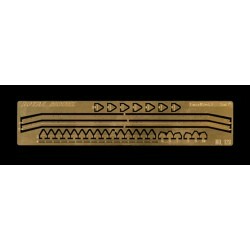 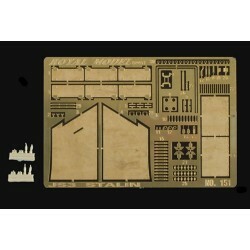 Item produced in photo-etched metal and resin (for Dragon kit). 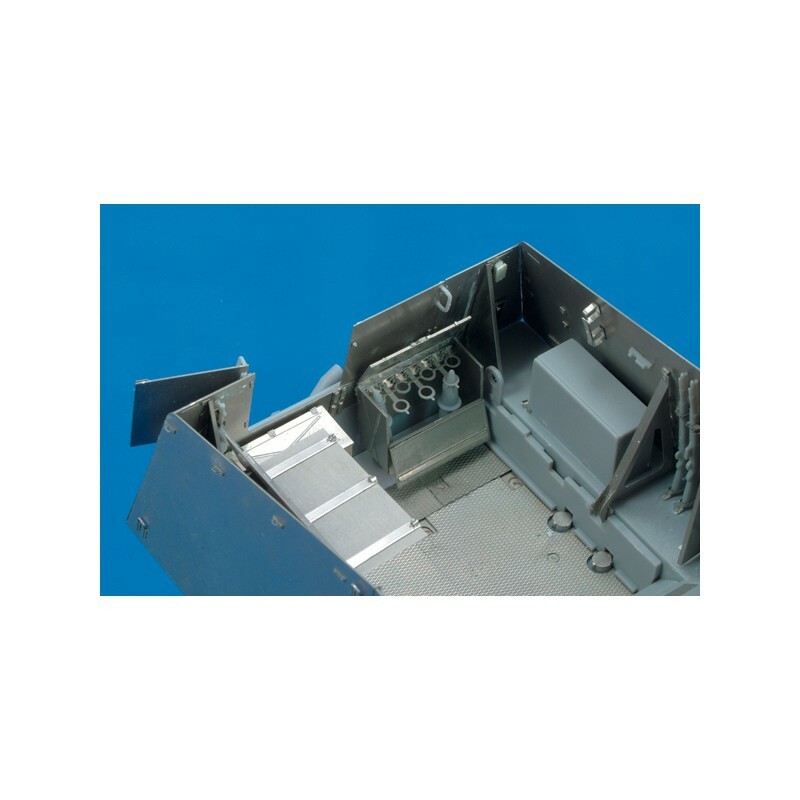 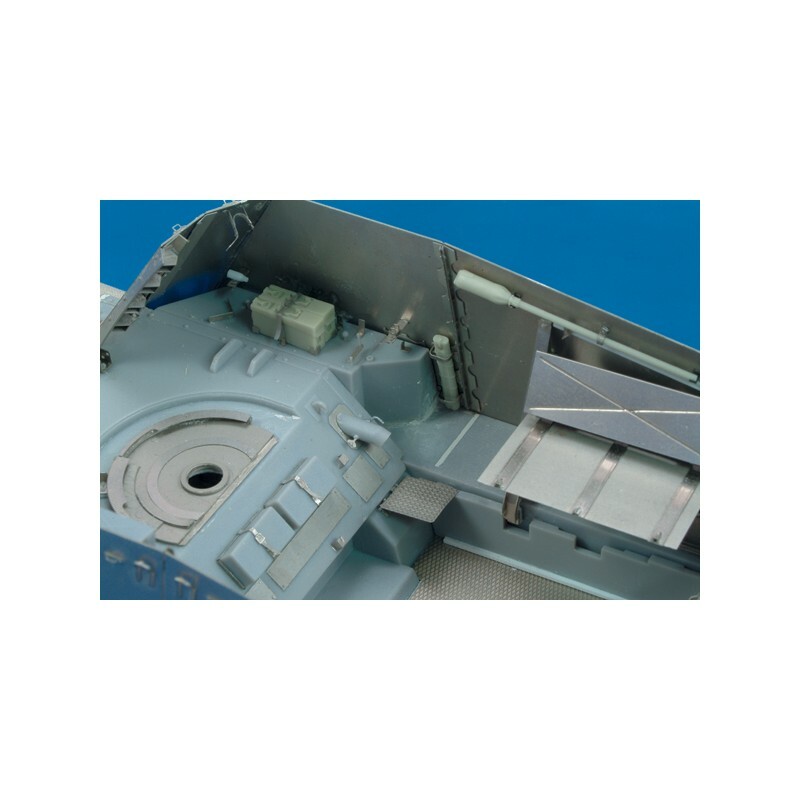 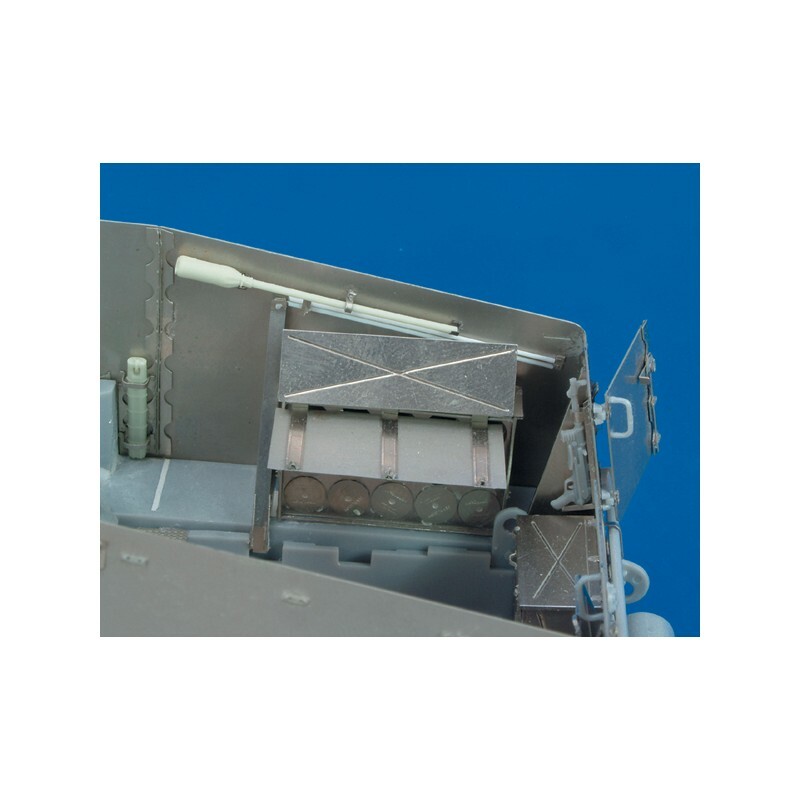 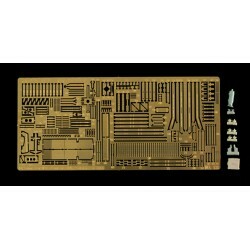 The item we offer is produced in photo-etched metal and polyurethane resin of the highest quality, the use of these materials has consequently enabled us to achieve finer levels of detail without compromising on the quality of the product. 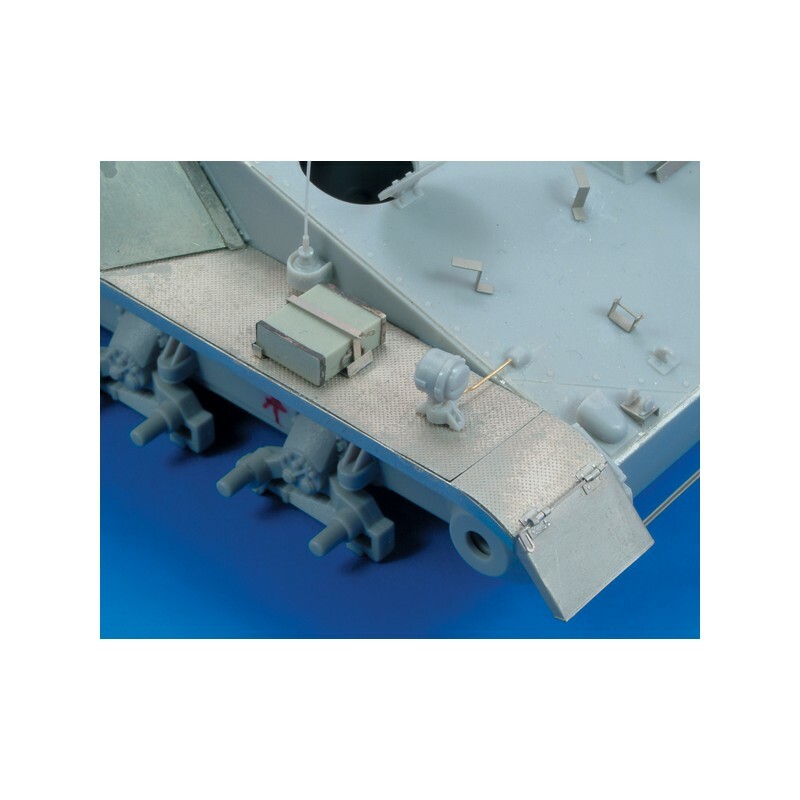 Our products are the result of meticulous historical research and careful planning and will add the highest level of detail and realism to your models. 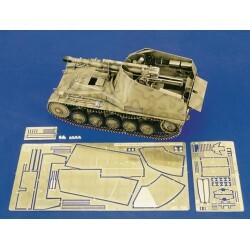 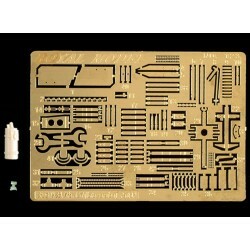 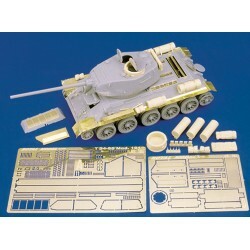 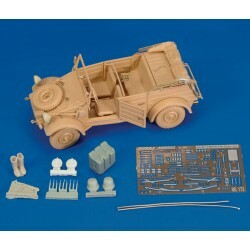 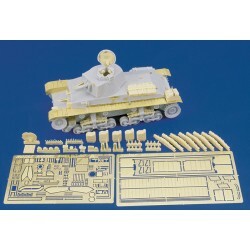 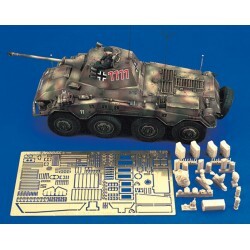 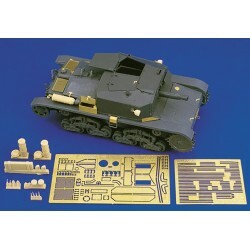 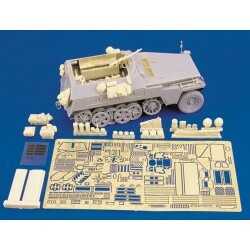 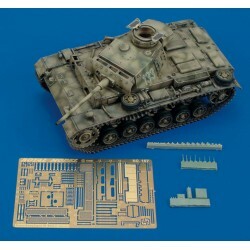 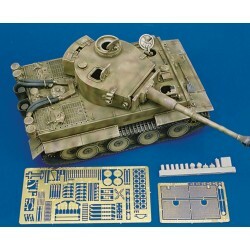 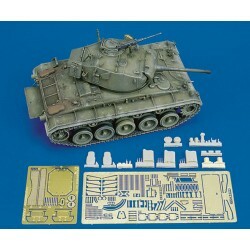 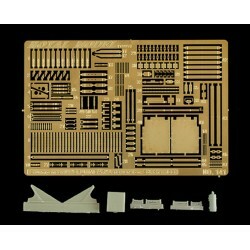 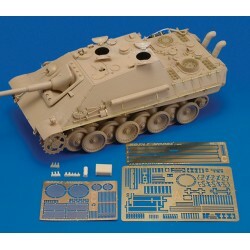 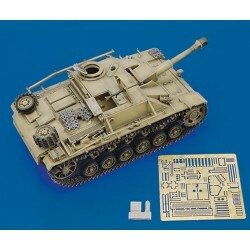 This kit has been created for experienced model makers, who have already acquired experience and practice with these products. 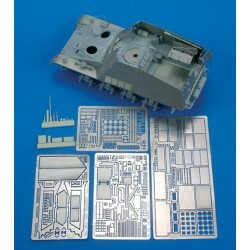 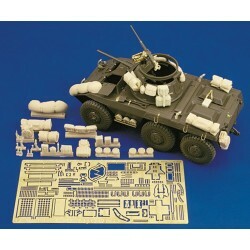 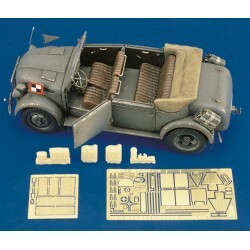 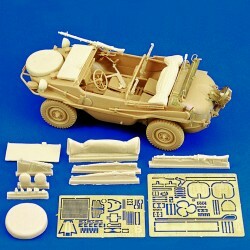 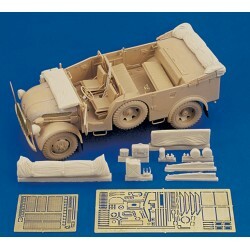 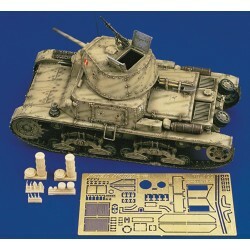 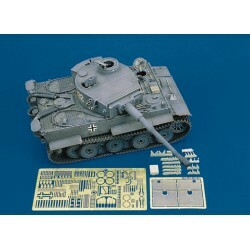 For this reason we do not advise this product to those with little experience in model making. 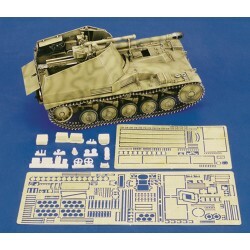 A comprehensive instruction sheet is included along with the set, this provides step by step instructions on how to assemble the product. 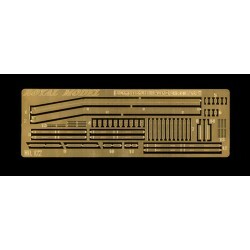 From now on with the use of this innovative set, adding that extra touch of realism and detail to your model will be easier. 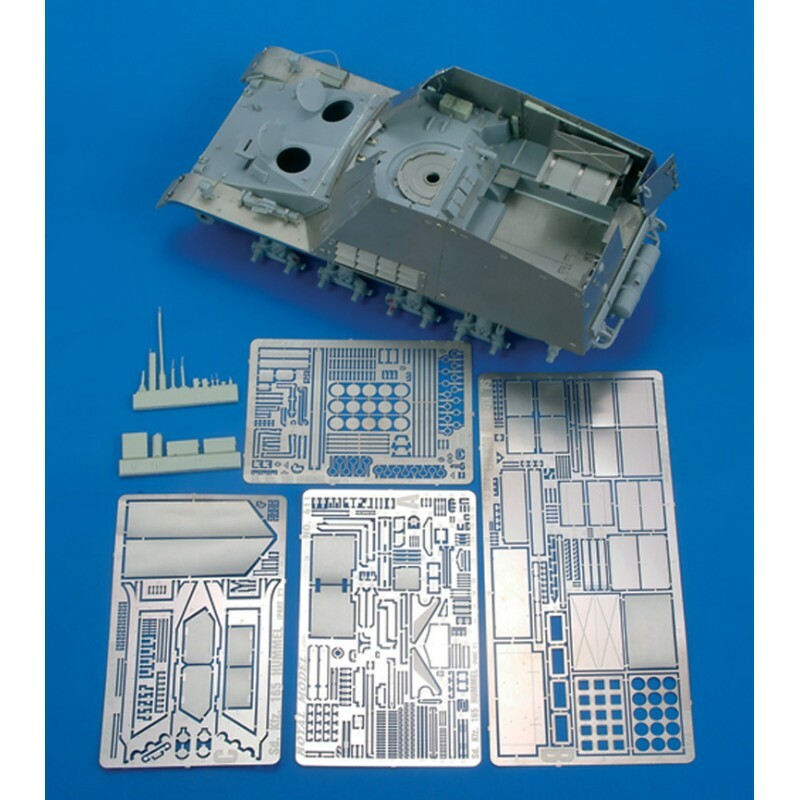 For assembly we recommend the use of cyanoacrylate glue, while for painting we recommended to pre-treat the models with a primer. 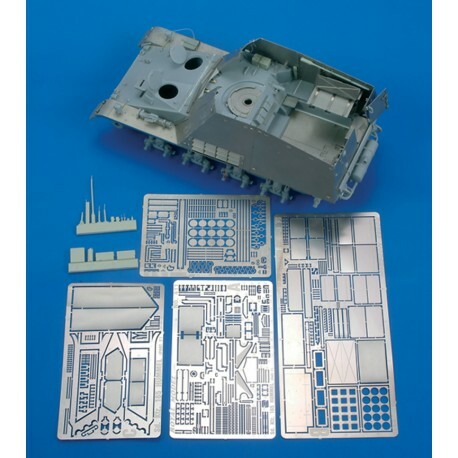 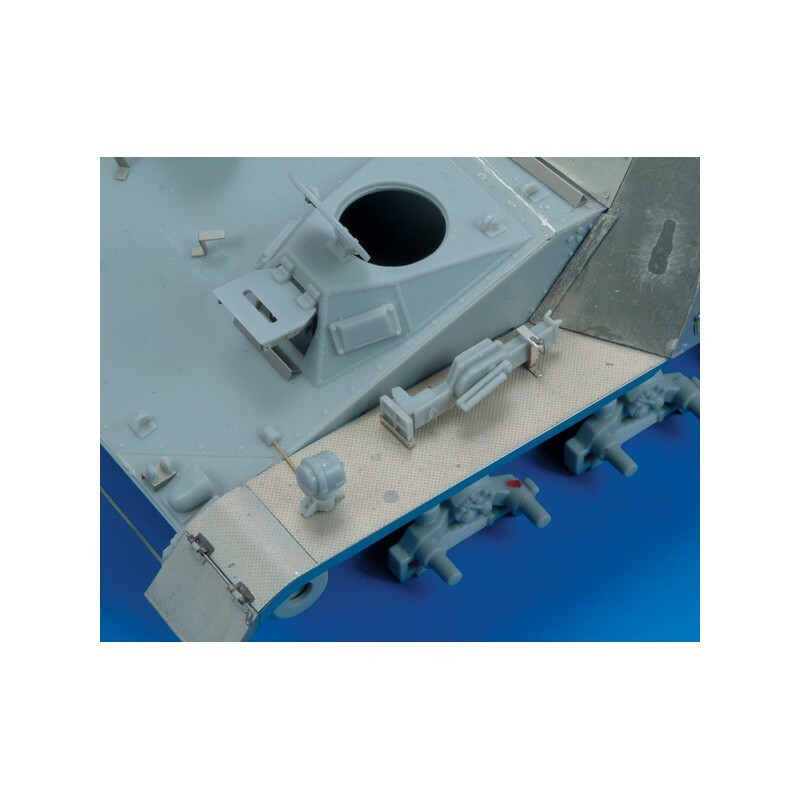 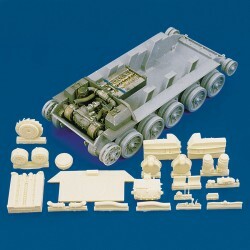 Our complete and exhaustive collection of products cover all areas of military model making, especially on the 1/35 scale and aim to constantly supply the enthusiast with an avant-garde and finely detailed product. 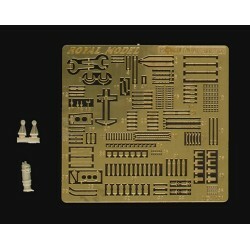 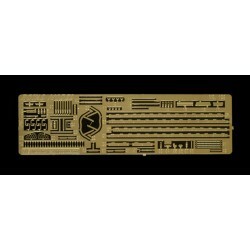 This product is sold as a model kit: glue, paint and anything else required for assembly or use of this product is not included in the kit and therefore, must be purchased separately from your local hobby store or fine art store.